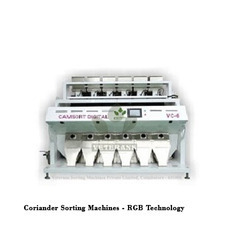 Manufacturer of a wide range of products which include coriander sorting machines. 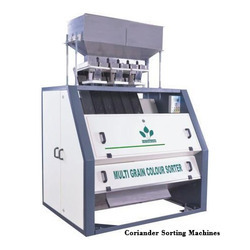 Under precious guidance of our skilled professionals, we are offering a distinguished assortment of Coriander Sorting Machines. Unwanted black, discolored and chalky particles are detected. Offered sorting machine is broadly acknowledged in the market owing to its different quality features. Manufactured using optimum quality components and the latest technology, this sorting machine is highly demanded by clients. Apart from this, customers can avail this sorting machine from us at industry leading prices.